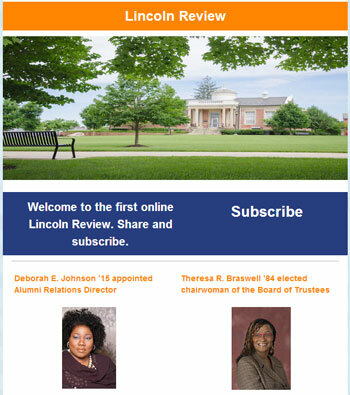 The Review is a quarterly newsletter that endeavors to tell the Lincoln University story to build pride and motivate all stakeholders to do more to achieve results. The Lincoln Lion Magazine is Lincoln University's printed biannual magazine. Lincoln University Office of Communications & Public Relations offers assistance to print, broadcast and online media. Should you want to submit news and event content for inclusion on our website, please visit our submission guidelines page and form.